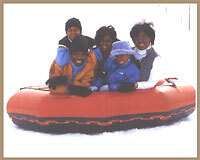 This Pocono retreat is just 90 minutes from New York City and two hours from Philadelphia and features many onsite activities and amenities including an 18 hole, Par 71 golf course year round horseback riding, a Winter Fun Center complete with the area�s best snowtubing and ice skating, weekly live entertainment, festivals and special events, massage therapy, indoor/outdoor pools, fitness facility, Game Zone play center and daily scheduled activities. Outdoor enthusiasts will also love the kayaking, canoeing and rafting on premises. 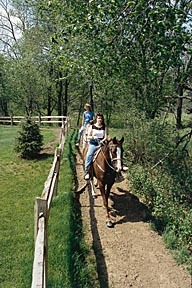 Fernwood is a resort recommended by PoconosBest.com for families and active couples seeking a resort with plenty to do. The Event Center features concerts and live entertainment and the Resort always has new and exciting activities for all ages. 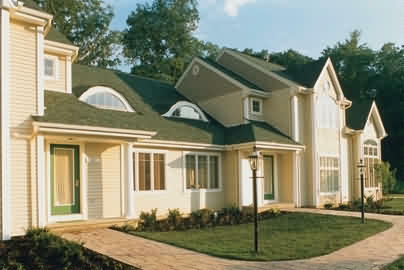 Fernwood is also the only resort in the Poconos with a Pizza Hut on site. The Resort showcases the talents of nationally renowned performers in their Event Center � with comedians, singers, concerts, dancers, magicians and musicals. 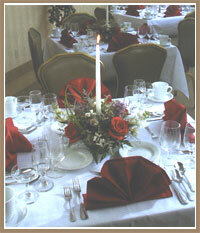 Guests can often find top-notch live entertainment and holiday buffets in the elegant Astor Room, dancing under the stars at Wintergreens or live bands at the Trolley Stop Pub. Guests always look forward to Fernwood�s special events, such as the annual July Fourth Fireworks Show, the Henry T. Cole Carnival, grand holiday buffets and special shows from nationally renowned performers and athletes. Fernwood�s now has Big Daddy's Bar B Q onsite with a menu selection that matches its name.sGuests enjoy the convenience of the meal-on-the-go options at Fernwood�s Food Court. EZ Cards are available to use all over the property, including the Game Zone and the restaurants. 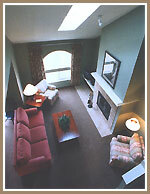 The Resort is conveniently located close to shopping, museums and other popular Pocono attractions. The action at Fernwood is non-stop. *Broker: Sand Hill Creek Realty Inc.
A resort providing a picturesque backdrop for your vacation memories. Surrounded by the rolling hills of pennsylvania's Pocono Mountains, a year-round resort offering a host of activities and amenities including an 18-Hole Par 71 Golf Course, full service meeting facilities, a winter fun recreation area that has snowtubing and ice skating, Themed restaurants, live entertainment, fitness facilities, indoor and outdoor pools, and a planned schedule of daily activities that features everything from crafts for children to designer outlet shopping excursions. Enjoy dinner and a show at one of the themed restaurants or prepare a home cooked meal on a fully appointed villa kitchen and relax by the fire. Large video game room, hiking or canoeing in the National Recreation Area, indoor and outdoor pools, horseback riding plus a spectacular on-premise snowtubing park are all part of the experience. An easy drive from both New York and Philadelphia, planning your vacation getaway could not be easier. The Poconos have been known as a vacation destination for over 100 years and have everything you could want including ski areas, waterparks, outlet shopping, a rich history dating back to the tribal Indians, and a Nascar Racetrack. However you define a vacation - Fernwood has something for everyone.